Northern Lights - £155pp off original price! 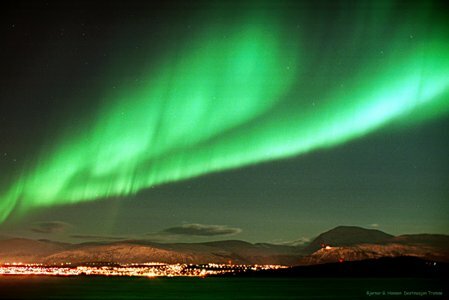 Experts at Nasa say the 11-year cycle of the Sun will hit 'solar maximum' early in 2014, increasing the chances of sightings so NOW is the time to experience the wonder of the Northern Lights! This, coupled with a reduction in our original price of £2,650 to £2,495 (sharing a twin) for this 10-day escorted tour will hopefully convince you even more to journey across the Arctic Circle and witness this unforgettable, natural light phenomenon. We have successfully negotiated more favourable rates with our suppliers to reduce the price by £155pp for this tour and bring it in line with the 2012 cost for the same holiday. This tour combines plane and train as it embarks on its search to observe the 'Aurora Borealis'. We fly to Oslo and take a scenic rail journey through the Gudbrandsdal valley via Trondheim northwards across the Arctic Circle passing through breath-taking fjords and snow-capped mountains, stunning scenic views enjoyed from the comfort of your train seat. 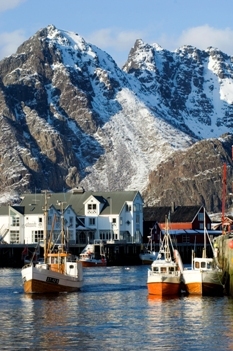 The journey includes a ferry ride to discover the beauty of the Lofoten Islands and Tromsø where we await the main highlight of this tour - Earth's awe-inspiring natural light display. A highlight will be an optional evening excursion up Mount Storsteinen by cable car to enjoy a sumptuous dinner from a height of 421 metres high and surrounded by amazing views. We continue towards Narvik and Kiruna in Sweden and as the tour advances you will discover that this captivating holiday reveals an ancient and enigmatic land were the wonders of nature mirror centuries of culture and tradition. A final treat will be a visit to the famous Jukkajärvi Ice Hotel to enjoy iced cocktails in an amazing ice-sculptured bar.